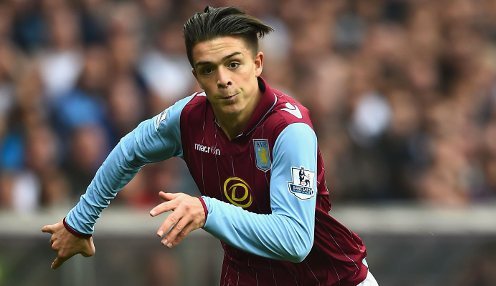 Aston Villa boss Steve Bruce says he is prepared to face the probability that star midfielder Jack Grealish will have to move from the club this summer. The West Midlands outfit are having to sell some of their big names in order to comply with Financial Fair Play and the club have already been forced to make some big decisions. Skipper John Terry was allowed to leave the club to free up space on the wage bill and more players are expected to go. One of them is likely to be prized asset Grealish, with the 22-year-old attracting plenty of interest with his performances in the Championship last term on the way to the playoff final. Bruce is fully aware of the situation and is expecting that he will have to do without playmaker Grealish. He told Sky Sports: "We might have to take decisions which aren't going to be easy. We will have to generate some money and inevitably that's going to be through player sales. "And it's going to be people who I don't want to sell. The obvious one is Jack. People will know we've got financial problems and they'll sit and wait until deadline day possibly, I hope that doesn't happen but we've got to wait for it." Aston Villa are 9/4 to be promoted from the Championship next season.